The National League for Nursing broke new ground in 2005 when it started the Certified Nurse Educator or CNE program to identify quality and advancement. To this day, the NLN CNE credential is the only formal seal of quality in the advanced specialized part of the academic nurse educator. More than 4,000 nurse teachers in all 50 states now hold the CNE credential and the program is constantly enjoying a high level of re-certification. To help candidates plan for the rigor of the examination, the CNE program has offered the CNE Candidate Handbook, self-assessment examinations and an ongoing sequence of training classes. Now comes the Official National League for Nursing Guide to the CNE Exam to complement these resources. A user-friendly, yet scholarly book that will hereafter serve as the specified guide for staff seeking the CNE certification and an essential written text for all nurse educators across the number of colleges. Published by Lippincott for NLN Press, the book has been edited by Linda Caputi, EdD, MSN, CNE, ANEF. A well known provider of training for nurse educators, Dr. Caputi exemplifies quality and advancement. A CNE herself, as well as a other in the NLNs Academia of Medical Education and studying, Dr. Caputi has a lengthy record of dedication to improving the objective and objectives of the NLN. The writer of a number of well-received guides on nursing education, Dr. Caputi edited Innovations in Nursing Education: Building the Future of Nursing (2013) lately released by NLN Press. 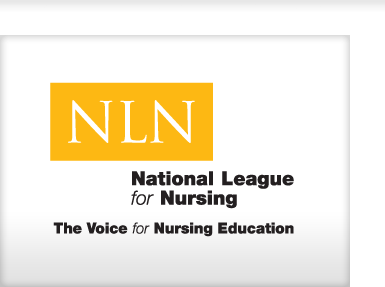 The NLNs management role in developing the CNE certification provides with it the responsibility of generating resources to help nurse educators to accomplish it, mentioned National League for Nursing CEO Beverly Malone, PhD, RN, FAAN. With the publication of the Official NLN Guide, they are offering the best plan to nurse teachers who desire that recognition and who will strengthen the factors of quality, both in class room and practice configurations that the CNE certification symbolizes. Added NLN chief executive Marsha Howell Adams, PhD, RN, CNE, ANEF, senior associate dean of academic programs and lecturer at the Capstone College of Nursing at the University of Alabama in Tuscaloosa: As an advocate of life-long studying and educational development, the National League for Nursing has long motivated nurse teachers to add the CNE certification. Now, the Official NLN Guide provides them the resources to happily and openly announce practice of this innovative specialized role in nursing education.